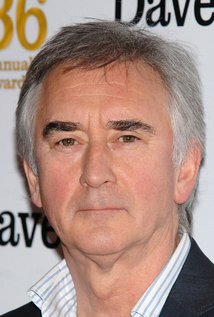 Denis Lawson stars with Nigel Havers and Stephen Tomkinson in ART at The Gaiety Theatre from March 19. Maretta Dillon meets Denis Lawson, one of the stars of ART at the Gaiety in March. Best known for his roles as John Jarndyce in the BBC’s adaptation of Bleak House, for which he was nominated for an EMMY award, and as DI Steve McAndrew in BBC1’s hit series New Tricks. In film, he played Gordon Urquhart in Local Hero and Wedge Antilles in the original Star Wars trilogy. He won an Olivier Award for Best Actor in a Musical for his stage performance as Jim Lancastar in Mr Cinders. ART is a very successful play which has been on stage for 20 years now and is constantly being revived. It’s about three men quarreling about the purchase of a painting. Why do you think audiences like it so much? I saw the original production and I liked it very much. But I’ve never read it until they asked me to do it. And it’s the most wonderful piece of work, it’s fantastic, it just knocked me out. It’s very funny but it’s also about something. The relationship between the three men and about how each of us perceive things and objects in different ways. And you play Mark who is a bit difficult? He’s quite neurotic and demanding. You know a bit of an intellectual or, so he thinks. He’s very tough on his friend. I was very pleased to be playing him. When I read it and started to work on it, he fell into place very quickly. Quite often as an actor, when you’re in rehearsals, certainly with me there are points, when I think I cannot get this person? As soon as I started to work on it, on my own, he just dropped into place which was great. No sense of stress or having to find something because it’s so well drawn. You don’t come from acting family or tradition. Well no. I’m from a small town called Crieff in Scotland, a little market town in Perthshire, a beautiful place. But my family were Glasgow. I was born there and my mother, who died 18 months ago was a dancer when she was a kid. She did teach us little routines and stuff. It’s certainly something that I’ve explored in my career. I’ve done a lot of musicals and dancing. What inspired me to go in to the business was that I wanted to be an entertainer, a song and dance man. What I saw when I was child was variety in Glasgow and then it was Hollywood. Musicals, those guys like Danny Kaye, Jerry Lewis. That’s what made me want to do it. You have worked on both stage, screen and TV. Is there a favourite? No, what I like is variety and you know I direct as well. I’ve always felt the only way to control your career which is almost impossible to do is to say no. If it’s not the direction you want to go in at that point, then you just have to be brave and go no. Then eventually you have to eat. So, you have to compromise as you go along. You applied to RADA but got rejected first time around? Yes, that’s right. As I say, I was from Crieff. I had no connections. Nobody could advise me. I would say to teachers, I want to go on the stage and it was like blank. When I applied to RADA, I didn’t really know what I was doing. You know I went in a suit and tie, for God’s sake. What did I know? Can you say something about the film Local Hero? When I was asked to do Local Hero, I had just been offered a season at Stratford. But the movie was so strong, I thought scripts like this don’t come up, well not that often. It was the chance to play and I think, you know being Irish, you’ll understand this. It was the chance to play a contemporary Scottish character who wasn’t any kind of cliché at all. He just happened to be Scots but he was smart and so it was a bit of a gift really. A beautiful script. We just had a wonderful time doing it. I remember it with great affection. You played Detective Steve McAndrew in New Tricks. How did you feel when it finished? It was about time. It felt about right for me. I’d done it for four years. I’d never done anything for that time before. I loved it but a lot of it was quite hard work because of the nature of the material. Summing up a case. Just remembering that stuff is hard work. Do you have any, given your experience, any advice for those contemplating an acting career? Your nephew is the actor Ewan McGregor. I would say to people who want to be actors, don’t do it. But if they go ahead and do it anyway it means they want to do it. Don’t do it because for the number of actors you see at this level, there’s a whole bunch there who just don’t quite make it. Because it’s a mad business, it’s anarchic and there are no rules really. Be prepared for rejection. There you go. One of my favorite things is to go to Ronnie Scott’s in London because I’m a jazz fan, I love jazz. To relax is to go and watch musicians play. Jazz particularly. I love pop music as well. Jazz musicians tend to have amazing techniques. And the way they play together in an ensemble. I don’t know how they do that. It’s extraordinary to watch. What are your plans post ART? We finish in June. I’m very glad to say that in July last year, I got married to a wonderful woman, Karen. We got married on the beach. Well, I’m going back to that beach for three weeks, that Italian beach. I’ve been going there for many years. It’s a very social place, in a very Italian way. It’s just really easy. And the café there has wonderful food and wine. And my favorite vodka. Yes, that’s the plan. ART is at The Gaiety Theatre, Dublin from March 19-24.